I saw this at an established, popular restaurant that has been around for years. So you know they have enough money to hire someone to proofread their menus, but apparently they didn't bother to do that. And didn't take the time to check their menu before sending it to print. 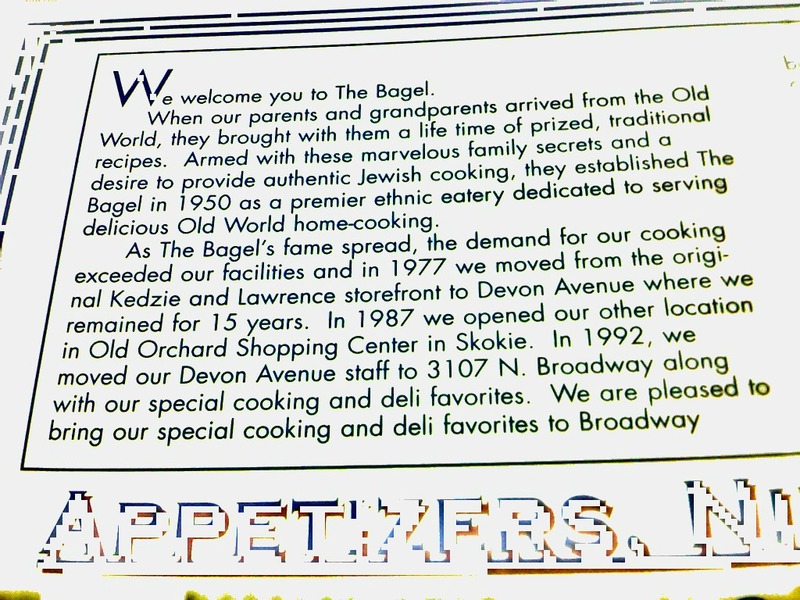 The mistake is quite glaring--look at the last two sentences: they say that they moved to Broadway, and then in the last sentence, they say "We are pleased to bring our special cooking and deli favorites to Broadway". 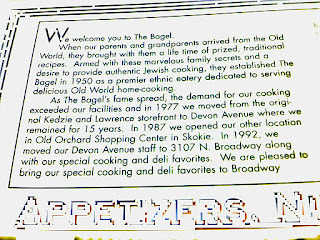 Note how there is no period, which is an obvious mistake, but what's odd is that it seems like they are announcing their new location, as if it has just opened. Did they forget to delete that sentence? The idea doesn't logically flow from the previous sentence or content because they were describing their history, and all of a sudden end the page with the introduction of a new idea and direction. Plus, they've been writing in the past tense, and then switch to present tense. They should have at least created a new paragraph. Seriously, they should've taken the time to read their menu and should have found someone who could carefully look at it to make sure it made sense. I wonder if other customers have noticed this.